Prior to his appointment to the bench Judge Bresnahan was an attorney in private practice and also served as City Attorney and Municipal Judge for numerous municipalities and cities in the St. Louis metropolitan area. His private practice provided extensive experience in litigation representing both plaintiffs and defendants, including approximately 20 jury trials and 1,000 bench trials and contested motions, in personal injury, property damage, employments maters, securities cases, fraud, contract and business litigation matters. As a Conflicts Public Defender for the City of St. Louis he represented defendants in felony jury cases. Judge Bresnahan has extensive experience in municipal and administrative law, including trials and appellate practice. He served as Special City Counsel for the City of University City and as head of the Law Departments for Ferguson, Lakeshire and Edmundson where he represented the City in bond issues, TIF transactions, creation of Industrial Development Authority, annexations, and implementation of an Urban Development Corporation. 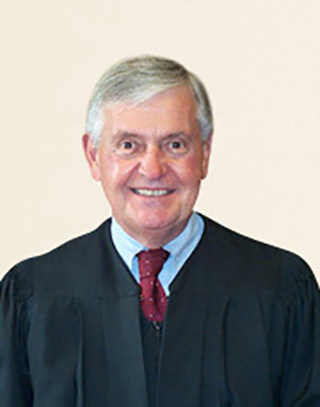 Judge Bresnahan has been an active member of the legal community throughout his career. Elected to the 21st Judicial Circuit Judicial Commission for a 6 year term commencing in 1998 he also served as a Special Investigator for the Circuit concerning complaints against attorneys from 1987-1993. In 1999 he was elected as a member of the Missouri Bar Board of Governors and was re-elected to the Board in 2001, 2003 and 2005. Judge Bresnahan also held several offices with the St. Louis County Bar Association including serving as its President in 1992; the same year that he was honored with the Association’s Distinguished Service Award. He also served as President of the St. Louis Municipal Lawyers Association from 1999-2004. Prior to his appointment to the Bench, Judge Bresnahan was certified and served as a neutral for the Missouri Bar, the United States District Court for the Eastern District of Missouri and the Circuit Courts for St. Louis City and County.